Basketball BC supports and encourages the development of coaches in BC. The National Coaching Certification Program (NCCP) is a coach training and certification program for more than 60 sports in Canada. The basketball program was developed by Canada Basketball in conjunction with the Coaching Association of Canada to improve the standard of coaching through education. ​The NCCP Basketball program is delivered by Basketball BC and Canada Basketball though clinics or program challenges. 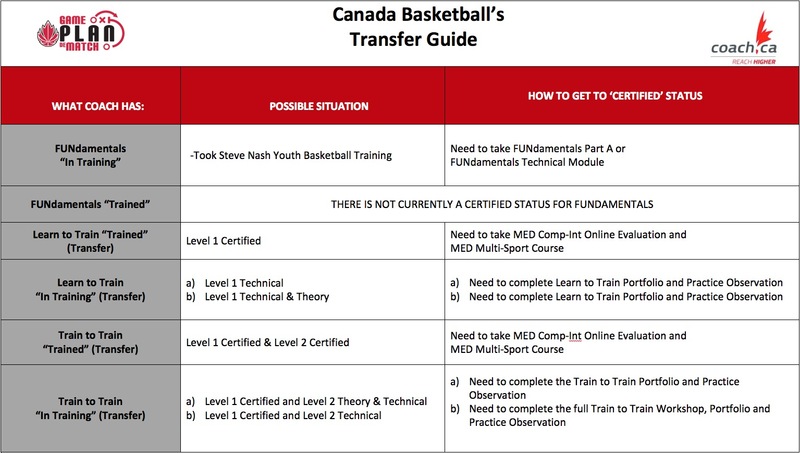 The goal is for the coach to become “trained” and/or “certified” in the NCCP Community and/or Competition pathways. Basketball BC also provides a number of coaching resources.